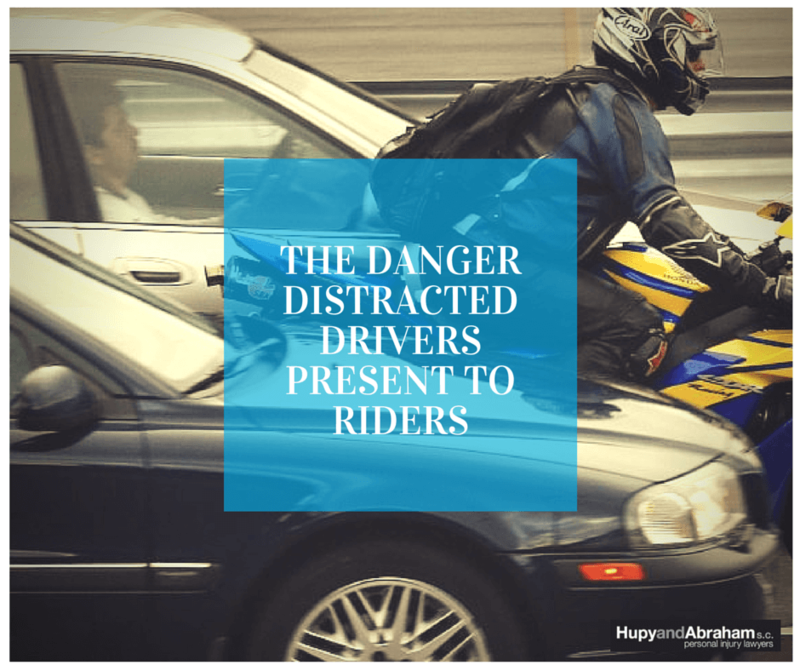 Distracted Driving Motorcycle Accidents in Wisconsin | Hupy and Abraham, S.C.
Five seconds. That is the average amount of time that a driver takes his eyes off of the road and his attention away from driving safely when he is texting. It is the amount of time that it would take to drive the length of a football field at 55 mph. A driver who is texting could travel this distance without looking at the road or seeing a motorcycle near him. Less than one second. That’s all it takes for a driver’s distraction to cause a serious, and potentially fatal, accident. In recent years many states, including Wisconsin, have enacted laws about using a cell phone while driving. Currently, Wisconsin law prohibits texting while driving for all drivers, and also bans using a cell phone while driving for new teen drivers. However, Wisconsin law, unlike the laws in some other states, goes one step further. It is against the law in Wisconsin for drivers to be “so engaged or occupied as to interfere with the safe driving of that vehicle.” This broad law could include any form of distraction, including (but not limited to) eating while driving, using a GPS or map, talking to passengers, tending to children, daydreaming, or doing anything else that takes one’s hands off the wheel, eyes off the road, or attention away from driving safely. And motorcyclists are particularly vulnerable to serious or fatal injuries. In 2013 (the most recent year for which statistics are available), 163 motorists who were not motorcyclists caused motorcycle accidents because of inattentive driving. The motorcyclists they hit lacked the protective metal and safety features of cars and trucks. Serious injuries such as traumatic brain injuries, spinal cord injuries, broken bones, and even fatalities occur when a distracted driver causes a bike crash. Accordingly, it is important for all drivers to work together to help prevent accidents. You can help raise awareness about the risk by sharing this library article on Facebook or Twitter and by encouraging anyone you know who has been hurt to contact our experienced motorcycle accident lawyers today.